Can nudge management make your employee happier? Have you heard about the flies stuck on the men toilets in Amsterdam’s airport? These small stickers allowed the cleaning expenses to be reduced by more than 20% in a few months! This technic is called a nudge. Nudging is a soft technic meant to help people make better decisions for themselves, for the environment, or even for the company. But how? Experts, while building the choice architecture, summarize, preselect and easily present the information given to the individuals allowing them to make faster decisions. The most used nudge is the default choice. Lack of time or knowledge will lead people to keep the default settings for years without changing them. However, nudges can take different formats. You have probably already experienced it, sometimes without even knowing it. Giving the information about the use of energy using colors is more likely to make people choose the A+ microwave instead of the B one. 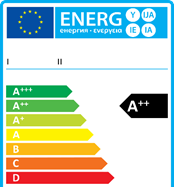 Without this information, the customer might have taken the B one, probably a bit cheaper but less environmental-friendly. Here the supplier didn’t force the customer, he has just helped him make a better choice for him and for the environment. Find some more here. A crucial point to be able to call it a nudge is that the incentive must be beneficial for the choice-maker! The idea is not to cheat on the individual. We will see later on, that normal people are not able to gather all the information they need to make proper decisions (cf. bounded rationality). Nudges are built by experts on a subject to help citizens choose the best option for themselves considering the context. Governments are starting to be interested in this method. For example, the Behavioral Insights Team (also called the Nudge Unit) of the British government was created in 2010. One of its biggest success was the increase of organ donors by 100 000 in one year, thanks to more factual messages sent to people, who just renewed their car insurance. The efficiency of nudges also got the interest of companies. Indeed, if modifying the choice architecture can lead people to make better decision for themselves, maybe it can also apply to a company? According to Ebert and Freibichler (2017), the nudge management can improve the efficiency of meetings, long term planning, task performance and knowledge sharing. In addition, changes needed to implement a nudge are non-intrusive and flexible. Therefore, they can adapt to the company’s environment and to the employees’ working habits. One of the most classical examples is the default time when creating meetings in professional agendas. By changing the default to 30 mins, a new social norm is created as the new “standard” time for meetings is not 60 but 30 mins. Rapidly, a 45 mins meeting will be perceived as a long meeting, while previously (when 60 mins was the default), it was considered to be short. Since the industrial revolution, management has been based on rational factors, without considering the human being (Scientific Management). 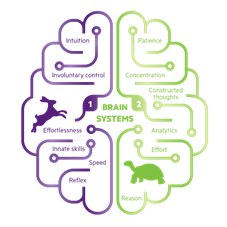 Managers have mostly focused on the 2nd system of their employees in order to get them do their tasks. Nudge management is directly linked to the individual and his decision making process. Instead of rationally convincing the employees, managers can give them a choice and orient them in the right direction. By making their own choices, employees are more likely to achieve the tasks with better performances. The best thing is that the nudge is not asking for a major effort from the employees to change their behaviors. The second principle is that the motivation of an employee is not just the salary or the fear of unemployment. According to Hawthorne (30’s) and Herzberg (90’s), the work environment (smell, noise, working station, security, etc.) and the consideration of the hierarchy can also influence the performance of an employee. Nudge management can help providing these feelings. For example, if the manager challenges an employee directly, it will work better than if he challenges the team in general because the employee feels more important. Or, if the number of papers printed every week is displayed, employees will tend to reduce their use of the printing machine and therefore reduce the noise for the others and the use of paper by the company. As we said before, individuals can’t have access to all the available information. A reason is that we have a bounded rationality. Simon figured it out in the 70’s with his researches on the efficiency of Fordism. He showed that behavior and decisions also depend on personal values, an incomplete information and limited cognitive capacities (we cannot know everything about everything). As people don’t always have enough time to analyze the information, the nudge theory says that it is better to let experts direct them in the right direction. In companies, while still giving the employees the freedom to make their choices, managers can give them means to choose the best solution for themselves and for the company. 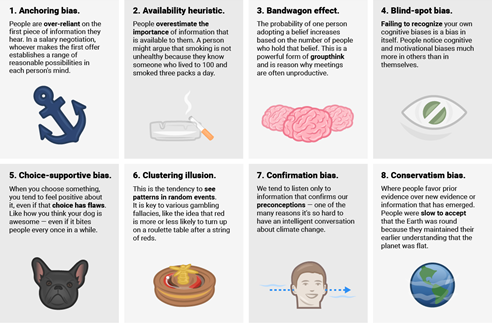 Moreover, nudge is making a good use of cognitive biases. They are described as psychological shortcuts leading to perception errors in the decision process. Most of the time the individuals are not aware of the causes influencing their decisions. We all have already been tricked by these biases. For example, if you rely too much on the first impression, then you are a “victim” of the anchoring bias. 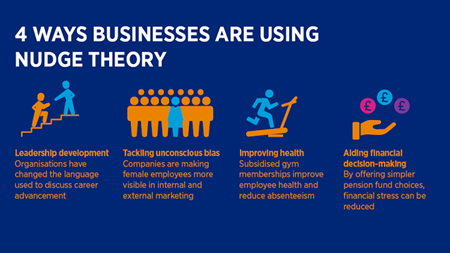 Nudge management aims to understand these biases to transform the habits of the employee. For example, if a company separates 2 open spaces by a corridor with tables and chairs, it will encourage employees to talk in this corridor instead of in the open space and therefore, they won’t bother their colleagues. Nudge management is very recent, but some companies have already implemented nudges in their daily activities. For example, the airline Virgin Atlantic wanted to reduce their fuel’s consumption. The management has provided their pilots in commands with reports on their flight consumption. Some only got the information, others got the information and objectives, and others got the information, objectives and they were told that, if they reached their objectives, a donation will be made to a charity. Results showed that, the groups with objectives improved their fuel consumptions and that, pilots in the third group were more satisfied, because they have contributed to the donation. Another company is Google, who is addressing the issue of salary inequality with a nudge. Managers realized, that male employees were more likely to ask for a raise during their annual meeting with managers. To change this behavior, managers have sent out emails explaining their observation and remembering that, the annual meeting is the moment to ask for promotions. As a result, the number of women applying for raises increased to the same number as men applying. The one time when managers didn’t do it, the numbers dropped sharply. Instead of fighting the inequality top-down, this approach was more efficient and less costly ($0)! 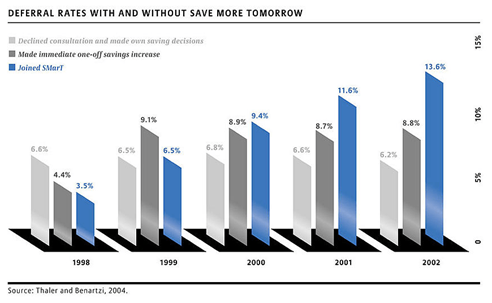 One last example is the Save More Tomorrow program. It was created by Thaler and Bernatzi in 2004. They realized that employees often have the intention to save more for their pension, but usually forget or consider that the loss now is more important than the savings later (they are influenced by several biases). To counter these biases, they asked 286 employees from 3 different companies to meet with a financial consultant, who recommended a new savings rate based on their economy and current salary. To the ones refusing the new rate, they offered the Save More Tomorrow plan, which will increase the savings rate by 3 percentage points every pay raise. Below, the results of the study: employees under the SMarT program ended with a higher savings rate, than the employees who made their own rating. Other companies have decided to hang clocks in meeting rooms to help dealing with the meeting times. Another way to improve meeting efficiency is to allow voluntary participation: employees who are not required to come can skip the meeting, if they have another emergency, which saves them time. In addition, inviting employees to change the settings of their mailbox so they don’t hear the notification sound every time they receive a new email will help them concentrate on their current task. Robbie Tilleard, a Senior Advisor in the Behavioral Insights Team (UK) said “one approach to nudge strategy implementation is to start small and expand”. Indeed, a good nudge requires a long observation period of the habits of the individuals in the company. And so far, that’s what we can see in companies. Nudge management is still more an addition of small changes than a big twist in the strategy of the company. It aims at making the work environment and work itself more appropriate for better productivity and better living. And, the results seems very promising both for the company’s performance but also for the employees well-being! 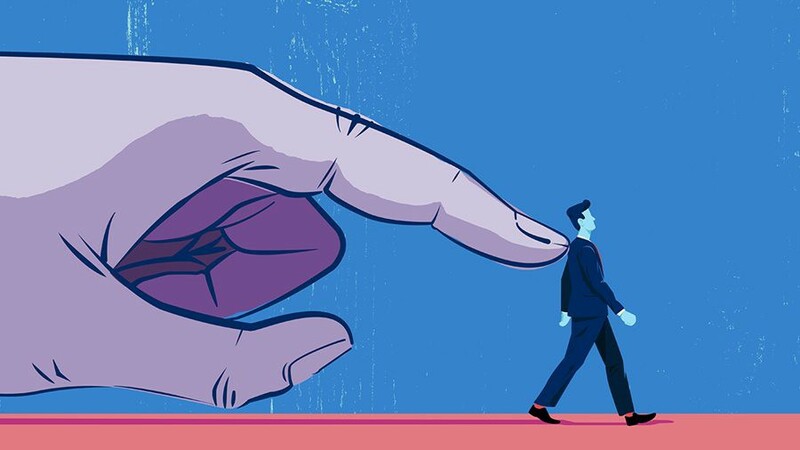 However, despite all the good intentions, some may think that the nudge theory is intrusive or even reject the intrusion of management in the decision-making process of their employees. For ethical reasons, it is important that any nudge needs to be carefully co-designed with the target audience. As Philip Ebert, Senior Lecturer at the University of Stirling, points out: “there will no doubt be certain uses of nudges that are not acceptable. There are difficult and complex debates ahead of us about the ethics of nudging”.